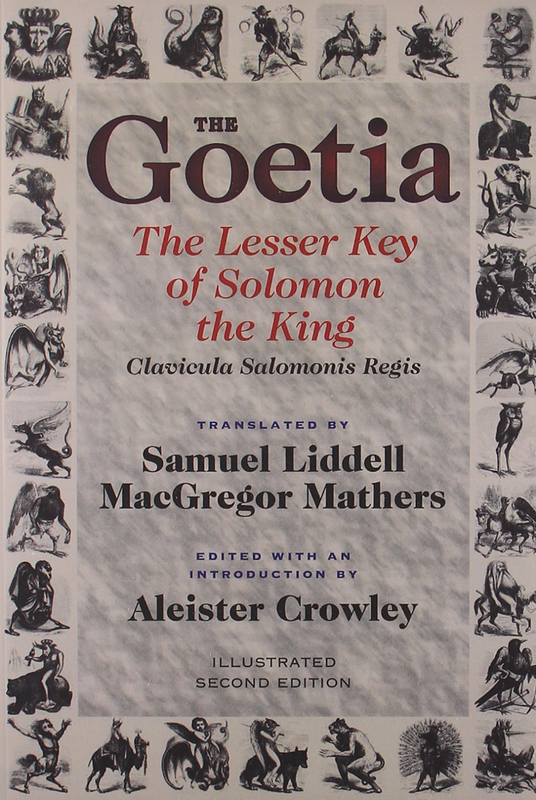 Randall Bowyer reviews The Goetia: The Lesser Key of Solomon the King: Lemegeton – Clavicula Salomonis Regis, Book 1, translated by Samuel Liddell MacGregor Mathers, edited by Aleister Crowley and Hymenaeus Beta, from the Bkwyrm archive. Reviewed: the illustrated second edition with new annotations by Aleister Crowley, edited by Hymenaeus Beta. First of all, I must reassure you that the illustrations are not those D&D-style drawings that mar the New Falcon edition of the Goetia, but rather the adorable little engravings by Louis Breton that you’ve seen in all those coffee-table books; they are supplemented by a few of Crowley’s crude sketches, which have the advantage of having been drawn from life. The new edition irons out some errors which were present in the first edition, greatly increases the usefulness of the Enochian conjurations, and generally makes the book more convenient for reference; it even fixes the pile of mistakes in the Greek text of 365 from the 1994 edition of Magick. It is not, however, without its flaws. First, the book is printed on cheap, see-through paper. Second, the new edition introduces more than fifty new errors. Most of these occur in the Editor’s Foreword, and most are very minor problems like the incorrect accenting of several Greek words; others, though, are more substantive errors of fact. For all these blunders we can thank the Tepaphone’s own “R. B.,” who had a hand in the translating and proofreading work for this new edition. Despite his arrogance and the occasional shallowness of his research, I really expected more of this intelligent amateur. R. B. tells me that a corrected reprint on real paper is already in the works, and will appear under the imprint of 93 Publishing: perhaps serious students should wait for this improved version. Meanwhile, the new edition is still better than the first edition. You can find this book at Amazon, Abebooks, and Powell’s. 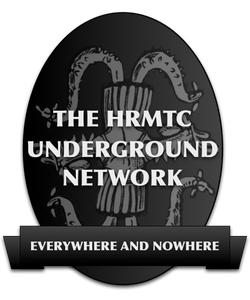 This entry was posted in Hermetic Library Reading Room and tagged aleister crowley, Bkwyrm, book, hymenaeus beta, Randall Bowyer, review, Samuel Liddell MacGregor Mathers on February 2, 2018 by John Griogair Bell. 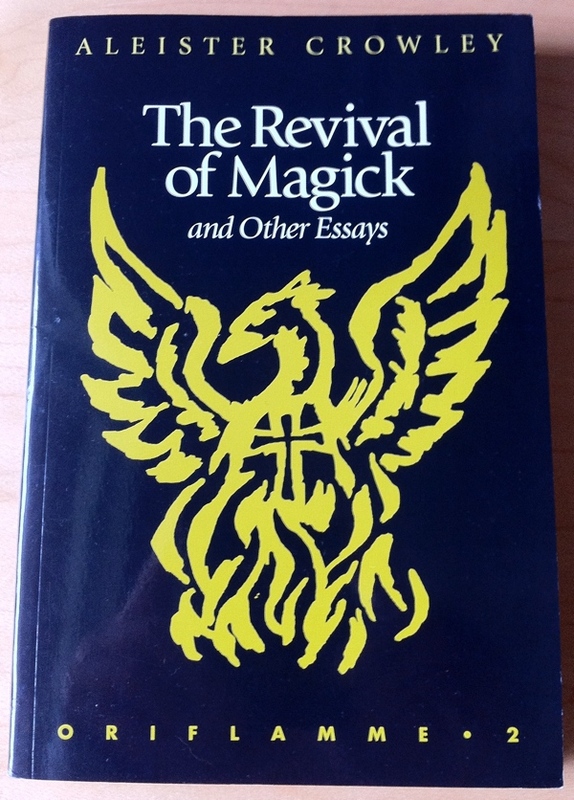 The Revival of Magick and Other Essays by Aleister Crowley, edited by Hymenaeus Beta, afterword by Samuel Aiwaz Jacobs, a 1998 paperback from New Falcon, the 2nd in the Oriflamme series, with cover design by John Bowie, is part of the collection at the Reading Room. This is the 2nd in the newer Oriflamme series, of which the first was Freedom is a Two-Edged Sword and Other Essays by Jack Parsons, and of which there has not yet been a 3rd. The original Oriflamme was an early newsletter from Theodor Reuss and Ordo Templi Orientis, a title which has appeared in various and varied usage since and is here used again for the newer series of books. “This collection is concerned with Aleister Crowley as an essayist. This literary form gave full range to his wit, humor, knowledge, and command of English. Most of his essays are as fresh today as when they were first written, and some of his best are collected here, forming a curiously charming sampling of Crowley’s opinions and interests. His essay subjects are wide-ranging, including mysticism, magick, travel, humor, social satire, drugs, psychoanalysis, religious fundamentalism, ‘pop’ occultism, art, divination, mythology, and drama. Crowley preaches his new Law of Thelema in several passionate essays and epistlatory letters, explaining the religious philosophy of the new law given in 1904 e.v. by Liber AL vel Legis, The Book of the Law. Sometimes writing as Crowley the man, at other times as The Master Therion, Magus of the New Æon of Horus, the recipients range from a fellow writer (the American novelist James Branch Cabell). to an industrialist (Henry Ford), to his colleagues. Crowley makes doctrinal connections not made elsewhere, many of great relevance to the theology and social philosophy of Thelema, discussing François Rabelais and William Blake. he also discusses the practical application of his philosophy at that great experiment in Thelemic monasticism, the Abbey of Thelema in Sicily. This entry was posted in Hermetic Library Reading Room, Liber Legis - The Book of the Law, The International: A Review of Two Worlds, The Libri of Aleister Crowley, Thelema and tagged 1998, aleister crowley, Book of the Law, books, François Rabelais, hymenaeus beta, james branch cabell, John Bowie, liber al vel legis, magick, mysticism, New Falcon, Reading Room, the master therion, thelema, William Blake on November 18, 2013 by John Griogair Bell. … the book includes several early comments on verses of Liber Legis (a few of which are important), as well as a very important text correction to Liber CCXX III:37 which resolves a longstanding textual difference between three sources: (1) the versification of the Stèle of Revealing from a now-lost vellum notebook, which was published with the reading “kill me!” in The Equinox I(7) (1912) and The Equinox of the Gods (1936); (2) a quotation (“fill me!”) given in a pencil note to Liber XXXI, the MS. of Liber AL, giving directions for the extent of the quotation to be inserted from a contemporary vellum notebook; and (3) the editions of Liber Legis published by Crowley, all of which gave “fill me!”. In this copy Crowley’s marginal holograph note clearly corrects “fill me!” to “kill me!” in the text of Liber CCXX. So, look for the next edition of The Holy Books of Thelema to include this change and perhaps some additional notes derived from the newly available marginalia from that acquisition. And, there were a number of interesting bits about other pending publications in that new update, so it’s great to have something like this textual change to distract people from that, especially since this offers a nice change from the generally unanswered constant complaints about various books being out of print or unavailable. The speed at which this change has rippled around the community is pretty striking, and also very familiar. What has been presented so far is a textual statement about what does seem to be solid provenance accompanied by some rather poor photographs in which it was largely impossible to see any details. I’m not saying that the evidence presented is faked as I’m in no position to know one way or the other. Certainly, I tend to believe the statement of a respected Crowley scholar and the head of an order in which I am a member about his belief in regard to the item and the details of the provenance, but it is important to remember that even experts can be mistaken. But, with that said, I’m of the mind to assume that the marginal note is genuine and go from there. I just wanted to point these reasonable academically-minded considerations out to those who tend to leap on such news without being careful about it. This is the version which I used for the poem on the page about the Stèle of Revealing, so the version that appears there has read “kill” for some time both in print and on the site. This final line is also in the text of the book Equinox of the Gods, largely a reprinting of the relevant parts of The Temple of Solomon the King. Previously, the version of Liber AL vel Legis that was part of the Equinox of the Gods pages on the library site was elided in favour of pointing people to other pages, but I have now restored this specific version from the old text files, so there now appears there that full version of Liber AL vel Legis using the word “kill” and I will finish formatting it soon for improved presentation. The Holy Books of Thelema & c.
This is the version that has been generally, until now, preferenced at the library, for the most part. And, since it is the version that appears in the Technical Libers of Thelema directory, it has been signified as the canonical version, of the several across the site. The two primary versions of this text that appear on the site, both in the Aleister Crowley and Liber Legis sections, were proofed by me recently against the 1983 edition of The Holy Books of Thelema and thus tend to conform to that rendering. Both of these currently show “fill” for III 37. In Equinox I x there were facsimile versions of the manuscript pages from which the typescripts have been produced. Of course, as instructed in the Book of the Law itself, the images of these manuscript pages should be included with any typed text. I have versions of the manuscript for Liber XXXI both with my own transcription (which I did as a personal project) and a version without transcription. Also, there is a transcription over in the Eidelons of Ash as well. So, the actual manuscript of the Book of the Law does not include more than the suggestion of the first and last couple words from the section of poem intended, but rather includes it by reference from a now lost vellum notebook. However, you will note that this does mean, even if the rest of the poem isn’t, “fill me” is in the manuscript. On that same manuscript page appear both initial ‘f’ and ‘k’ glyphs to which this can be compared, if one is curious about that. One of the amusing twists to this is that The Comment, or the Tunis Comment, would appear to clearly warn us away, and perhaps inoculate us, from this very kind of centum-satem struggle over textual interpretation that might lead to schism or in-fighting, but what if, as in this case, the actual text to which one might appeal is itself in question? No comment by Crowley really has much to say about the verse in question, and one might take a message from that, or no. The Old Comment is just a note that these lines come from the Stèle, which is perhaps important to saying that the poetry is not integral to the text of the book itself. The New Comment does offer at least some additional reflection and sense to the verse. May thy Mind be open unto the Higher! May thy Heart be the centre of Light! Of the three stanzas in this verse of the book, the end of stanza 3 is exactly the place in question, so this comment is particularly relevant in offering a sense of the words; and, one can decide for themselves if the comment or the notion of a Rosicrucian Benediction suggest a sense more suited to “fill” or “kill” in the last line. The suggestion here appears that the third chapter is about “union” and thus, perhaps, particularly relevant and reflective to the way that something as seemingly simple as a word change can create division and conflict. In addition to checking out the various Crowley comments, I had the idea to check out the translations of the Stèle to see if there was something interesting there to add. Crowley had a translation done of the Stèle and a newer, more up to date translation was done as part of The Holy Books of Thelema, Equinox III ix. Those may be interesting to take a look at, but, unfortunately, from my reading neither offer clear source for the section of Crowley’s poem in question. The section of the poem where this change occurs seems to be one derived from something other than the direct text of the Stèle itself; and thus the Stèle text does not seem to offer a clear reference tending to support one or the other word in the Crowley poem. One of the complications that makes this minor textual change of a single word such a potentially big deal is that the wording in question appears in relation to a “Class A” document. As previous noted, the poetry pre-existed the reception of the Book of the Law. The poetry was only included by reference within the actual manuscript. Including the entire poem within any subsequent typescript was itself an innovation and change over the hand-written manuscript. One document classification for Thelemic text is “Class A”, or Holy Books of Thelema, and the description of this classification should help make clear why just the idea of making a change, even without considering that the Book of the Law also contains an internal proscription against changes. Therefore, a “Class A” document is intended as inviolate and unchangeable. Typically, both Liber CCXX and Liber XXXI are classified as “Class A” documents as released by A∴A∴. However, even if one were to take the typescript text of the Book of the Law as a “Class A” document issued under the authority of A∴A∴, like the various other cases where one class of document co-exists with others, it might be important to recognize that the poetry is not directly included in Liber Legis, except by transclusion. One might consider the poetry from the Stèle to be something other than “Class A”, and not particularly, therefore, immune to changes either by virtue of being “Class A” or even, since it was not, by direct inclusion in the Book of the Law itself self-protected from change. I’m also reminded here of Bob Stein’s presentation at NOTOCON VII, “Liber XXXI and Liber CCXX, Liber L, The Book of the Law“, which leads me to the suggestion that it is, perhaps, not even Liber CCXX which is Class A, but rather only the actual manuscript, Liber XXXI, which should be considered Class A. Thus, the poem from the Stèle is clearly excluded from protection from changes by any virtue of classification as Class A or as part of Liber Legis, since it would be neither. One of the interesting tendencies that I think I’ve noticed in this recent turn of events is a kind of anachronistic memory hole where an instant event is taken to colour every other moment in time. The one thing that the news from O.T.O. suggests is that at the time of the marginal note, in what purports to be the handwriting of Crowley, there was a correction to the printed text. This, in and of itself, is a fact, not a proof. It is evidence used to derive a conclusion. The conclusion that seems to be most quickly announced is that any deviation from the handwritten correction was a typo, or mistake; whether before or after that moment in time the note was made. I thought I’d like to see a bit of a timeline of when things where one way or the other, so I quickly sketched out for myself a list of just a couple points in time. From the evidence, here’s a few not-exhaustive points in time with corresponding statements that can be made about this particular line of text. However, during these period there are also attested contemporaneous oral teaching that has delivered the text of the poem as “fill” for over 40 years, even during periods when textual evidence might suggest otherwise. 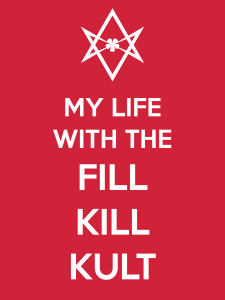 But, it does appear that during Aleister Crowley’s lifetime the text changed at least once from “fill” to “kill” after 1909 and before 1913. It also appears that there was after his death a change from “kill” to “fill” after 1936 and before 1983. Curiously, the person who was in charge of many of the posthumous editions of Crowley’s work during the period when this seems to have entered publication is now pointing out this change as a mistake. So, for context, this recent change may be a form of admission of a mistake, and understood as the natural and normal attempt to correct the text based on developing understanding of facts. What seems clear to me from the timeline is that this particular text was at no time “always” one way or the other. There are multiple points in time, some while Crowley was alive and some after his death, when this particular line changed in the published texts. To consider either “fill” or “kill” to have always been the case would be a mistake and hyperbole. Another complication to this particular issue is one of authority. 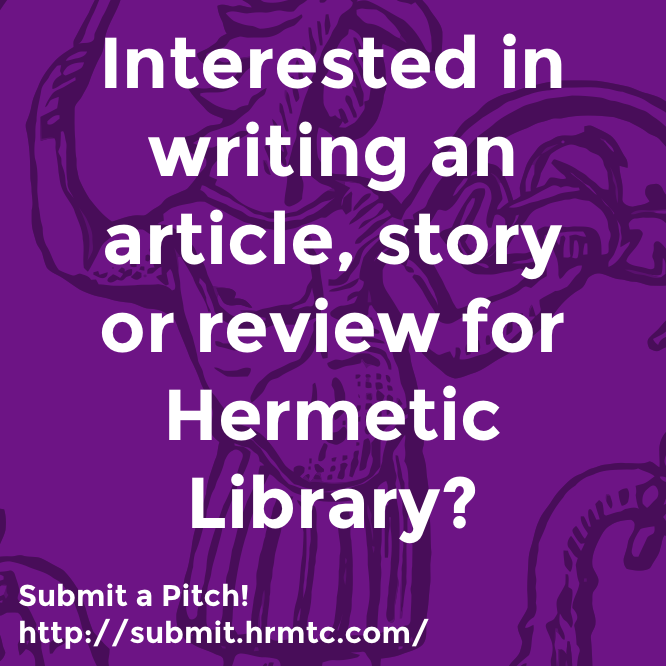 In some ways, the long-standing question of authority within the Thelemic community, which has seemed to cool and calm a bit in the last few years, is merely exacerbated by this recent development, but changing anything about a core, one could say the core, document in a tradition is liable to irritate wounds that have not fully healed. 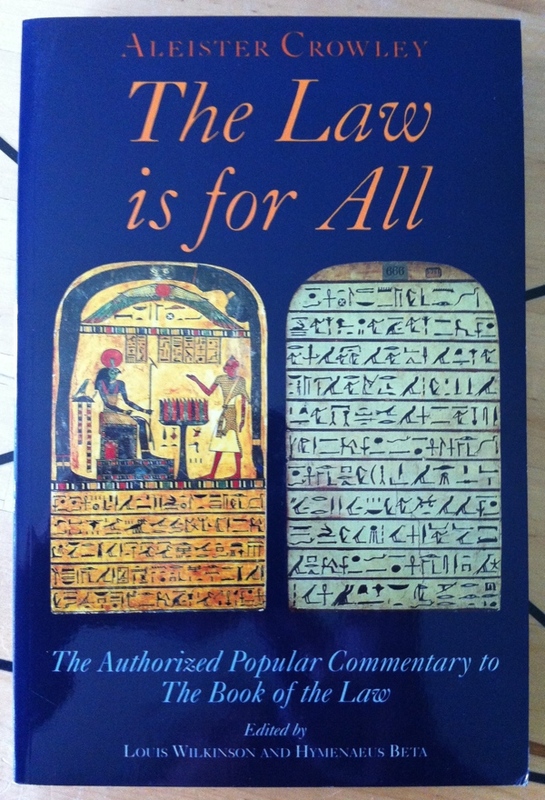 The issue of authority that I’ve heard might be summed up by pointing out that the Book of the Law, Liber Legis, was released under the authority of Crowley’s esoteric teaching order A∴A∴. The Outer Head of the Order, O.H.O., who is currently Frater Superior Hymenaeus Beta, is charge of O.T.O. internationally and is also the Crowley scholar who’s authored the news announcement making the discovery and apparently decision about the authoritative reading of “kill” over “fill” … only technically he’s not in charge of A∴A∴. Although, to be sure, there has been a generally close relationship between O.T.O. and the A∴A∴ as presenting itself publicly via outercol.org. However, only a little research will surface how the question of authority over A∴A∴ is in various degrees of dispute, as, historically, so too with O.T.O. itself. And, although O.T.O. was given the copyrights, that doesn’t necessarily also give the organizational authority over the spirit of them. So, the announcement about the authoritative reading of “kill” was by someone other than in direct and clear authority over documents that were released under the auspices of A∴A∴, and exactly who could be that authority could be seen as in dispute. One of the most disturbing aspects of these current events, at least for me, is the degree of exuberance with which partisans on either extreme have had in their leaping to the ramparts on this issue. Unfortunately as disturbing as it may be, it is by equal measure not at all surprising. This seems to have become a kind of loyalty test, and one where differences of opinion are taken to be failures of moral character. This leads to both direct, indirect and internalized censoring of ideas and thoughts in the community. Authoritarian control over ideas is one of the core criteria on schedules designed to identify dangerous cults, so there seems to me a slippery slope forming under some people’s feet. Whether it’s reactionary haters or reactionary loyalists, there seem to be many of the same sectarian lines being drawn on this issue as there are on any issue whatsoever. The reactionary factions and sectarians can all agree to duel to the death, for all I care, and I kinda wish they would, but somewhere isolated I hope. However, there also seem to be normally reasonable people becoming upset as well, not to mention the rest caught in the middle. 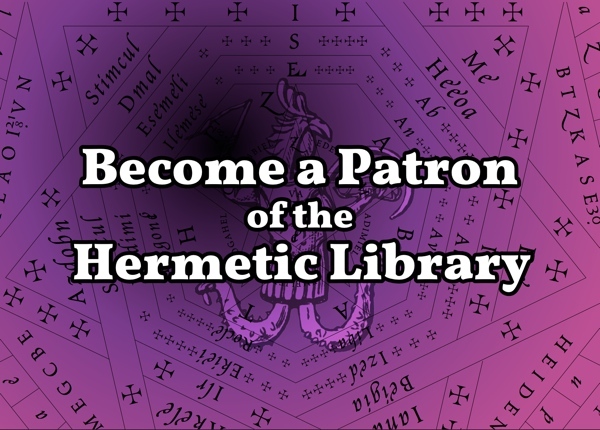 One aspect of this that touches closely to home for me is that as the librarian of Hermetic Library no matter what I do about maintaining the site both extreme sides will take issue. There’s a few voices who will slag the library any chance they get, of course, and rationalize their consuming hatred in some fashion when presenting it to others in an attempt to make themselves seem reasonable; when the core of it is a pattern of abuse not directly connected to any particular issue. So, to them I really don’t need to respond nor on them do I particularly care to waste energy; because they’ll continue their pattern of behaviour no matter what. For everyone else, my current stance is that I’ve several places where I maintain at the library versions with “kill” and several where I maintain “fill”. The documents where these appear, respectively, are those in which they appear in the timeline I previous outlined. And, to that end, one of the things I’ve done is to restore the text of Liber AL vel Legis that was part of the Equinox of the Gods pages, where it previously had not been included in favour of a link to another location on the site. So, from what I’ve described it should be clear that the typescript has changed over the years, and bodies of practice have been developed around various versions, regardless of what at any one time the typescript has suggested or no. Therefore, for one’s personal practice it seems primarily a matter of choice. In the same way that there are multiple version of the Gnostic Mass, published at different times with various differences; so too is the versification of the Stèle something which has changed from time to time. One of the main places where this versifaction is used is in the practice of Liber Resh. There are already, even without this issue, variations in the celebration of Liber Resh including which grade signs are used and in how or if one composes oneself to holy meditation; not to mention the minor variations of timing and so forth. The versioning of the Stèle versification is just one more variation among many others in the overall tradition. Another example of a bit of poetry that is transcluded within another document is within the Gnostic Mass. The first and father Anthem for the Gnostic Mass is not only from but is modified from how it appears in the play, The Ship. Not only is this included in modified form, but is also replaceable by another anthem, if one has permission to do so, but there are already variations on the words used introduced by local bodies, based on the premise that the transcluded poetry of the Anthem is not a canonical part of the Gnostic Mass, and, therefore one will often hear some mixture of people who say “Glory and worship be to Thee” and others “Glory and worship unto Thee” in almost any celebration. Anyhow, my point is, there’s an example of differences, from the original and from versions, in a transcluded poetry coexisting in the overall tradition. I suggest that it is both true that the “Class A” manuscript says “fill” and at the same time that the poetic rendering of the Stèle has been at various times “fill” or “kill”. It seems to me those who take an immovable stand on the issue one way or the other are probably using this issue as an excuse for something else, as an ersatz catalyst for a conflict they were already feeling and needed some way to rationalize their expression. I mean this of both those who are reactionary naysayers as well as those who are reactionary advocates. A plague on both your houses. One might even point out the rest of the poem from the Stèle as it appears in Chapter III Verse 37 and suggest this is an opportunity for “Unity uttermost showed!”, supported by the overall synthesis of points of view in the 3rd chapter, in the spirit of union; this is not a time to get stuck in 1st or 2nd chapter extremes, unable to grow up or out of ego and into a New Aeon. This entry was posted in A∴A∴, Liber Legis - The Book of the Law, Ordo Templi Orientis, The Equinox: The Review of Scientific Illuminism, The Hermetic Library, The Libri of Aleister Crowley, The Opinion Pages, Thelema and tagged aleister crowley, authority, bob stein, Book of the Law, change, chapter iii, equinox, equinox of the gods, fill me, gnostic mass, hermetic library, history, holy books, hymenaeus beta, james thomas windram, kill me, liber al vel legis, liber CCXX, liber legis, liber resh, liber xxxi, manuscript, marginalia, new aeon, O.T.O., ordo templi orientis, The Ship, the temple of solomon the king, thelema, thelemic community, versification on April 16, 2013 by John Griogair Bell.